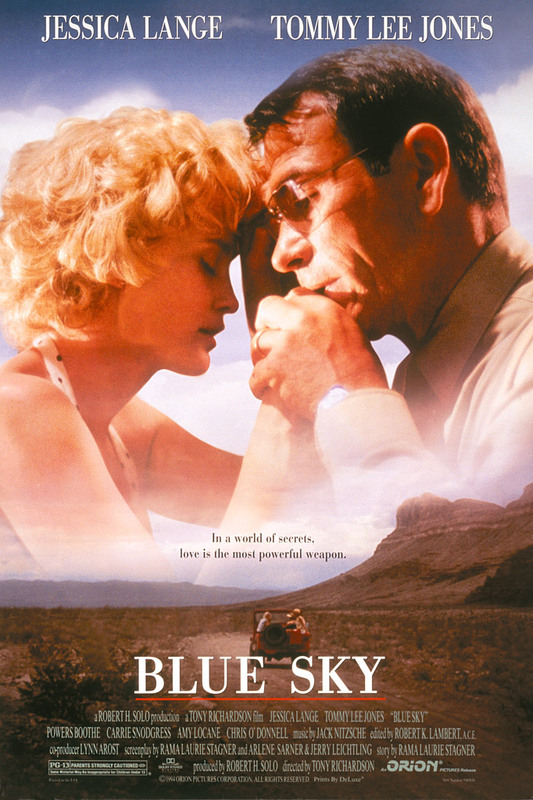 Uprooting his family after being assigned to a remote testing facility in Alabama, nuclear engineer and dedicated military man Hank Marshall (Tommy Lee Jones, "Hope Springs") is faced with a moral decision as an opponent of the atmospheric tests he’s asked to complete. Adding to an already volatile situation is Hank’s sultry wife, Carly (Jessica Lange, in an Oscar®-winning performance) whose mental instability and flirtatious nature begins to erode their relationship and bring unwanted attention to the situation. Rounding out the cast is Powers Boothe ("Red Dawn") as Vince Johnson, the focus of Carly’s carnal desire, and Carrie Snodgress ("Murphy's Law") as Vera, Vince’s long-suffering wife.